Comments: Contains two alternate edits, from isolated video tape recorders, of the June 30, 1966 concert, plus the July 1, 1966 concert. 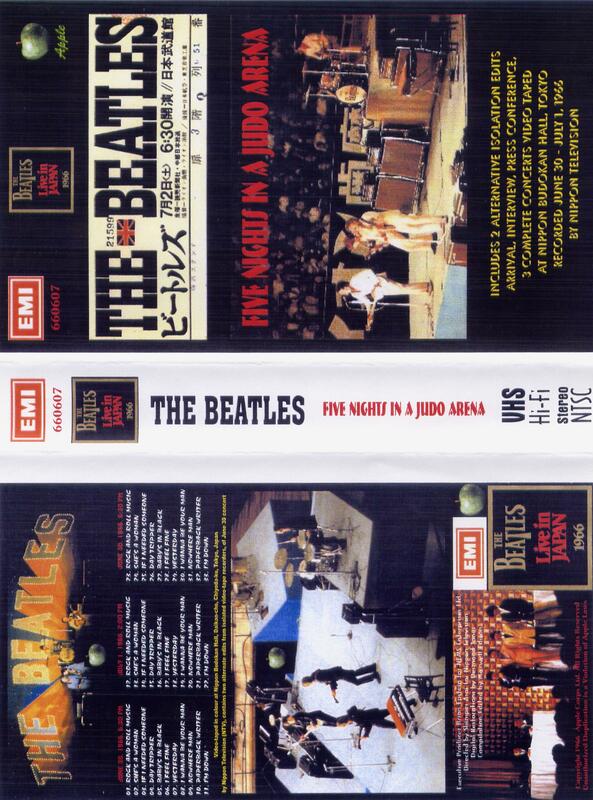 These concerts are the best filmed/recorded performances of the live Beatles, but the worst examples of them on stage. They’re only a month or so from retiring from the concert stage, and they look like they can’t wait for it all to be over. This disc contains both the June 30 (two edits, from different camera angles) and July 1 shows. In both, the group appears bored and exhausted, and the quality of their performance is abysmal – they sing out of tune, miss cues, and Ringo looks at all times mournful. Note: both this disc, and Die Beatles in Germany, have on their original tape boxes the Capitol/Apple logos, yet neither were actually released in this form officially; these are bootlegs. 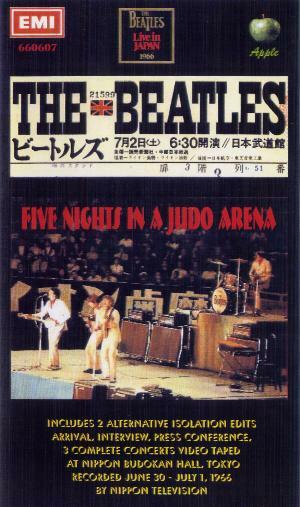 Concert at Budokan 1966 was released for a short time, officially, by Apple in Japan in the 1980s.